Better Rename 10 is the most complete renaming solution available on the market today. That’s why, since 1996, tens of thousands of hobbyists, professionals and businesses depend on Better Rename to organize and maintain files. 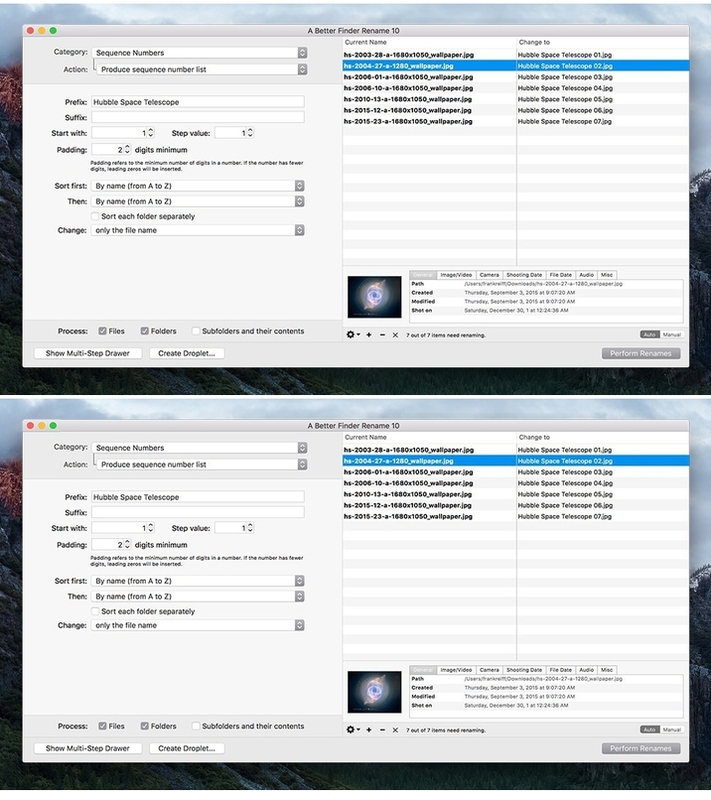 Version 10 adds interactive change highlighting to the instant preview feature, greatly enhances the multi-step user interface and provides a compressive file content & meta-data preview pane making it much easier to handle meta-data based renames and giving you even more confidence in your settings.